This unique work, the world’s largest thesaurus, includes almost the entire vocabulary of English from Old English to the present day. 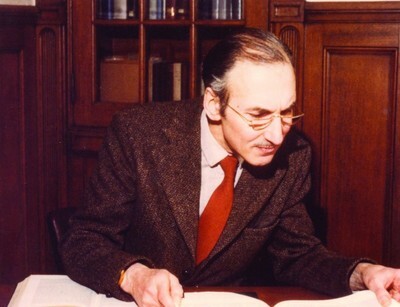 The Historical Thesaurus began in 1964 when Professor Michael L. Samuels announced in an address to the Philological Society that he and his colleagues in the English Language Department of Glasgow University had embarked on the task of producing a comprehensive study of the English vocabulary, the first ever notional classification on historical principles of any language. After Professor Samuel’s retirement supervision of the completion of the project was undertaken by Professor Christian Kay. The completed work contains nearly 800,000 meanings, organised into more than 236,000 categories and subcategories and collected together in two substantial volumes. Entries are arranged in a detailed thematic structure, thus offering a groundbreaking analysis of the language, as well as a chronological list of synonyms, based on the Oxford English Dictionary to which these volumes are an invaluable complement. The impact of the new thesaurus will reach far beyond the study of language offering fresh perspectives to scholars in many other fields including anthropology, history and culture. It was published on 22 October 2009. 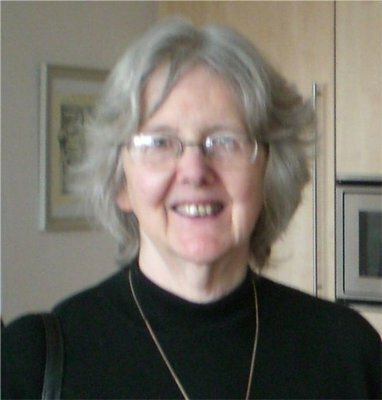 Jane Roberts is an Honorary Research Fellow on the Deaprtment of English Language. 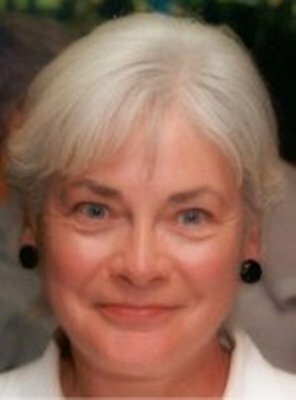 She was a lecturer in the Department of English Language and contributed to the Historical Thesaurus of English project. The project presents the vocabulary of English from Old English to the present day. Words are arranged according to their meanings and dates of use allowing users to explore connections between words. It is based on the second edition of the Oxford English Dictionary and was completed and published in two volumes in 2009. Roberts was educated at the universities of Dublin and Oxford. 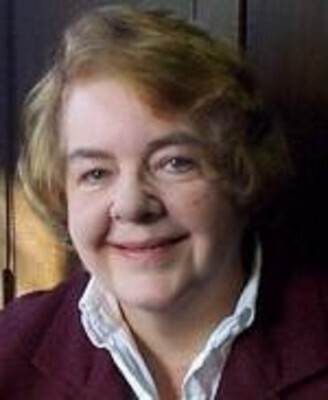 She is currently Emeritus Professor, and Honorary Senior Research Fellow in the Institute of English Studies, at the University of London. Her main interest is in the history of the English language, especially lexical semantics and medieval vernacular manuscripts. Michael Louis Samuels (1920-2010) was Professor of English Language at the University from 1959 to 1989. He was awarded a DLitt in 2006. Samuels is a graduate of Balliol College Oxford, and was Domus Exhibitioner in Classics from 1938 to 1940. He worked for the Air Ministry (Maintenance Command) from 1940-45 and returned to Oxford from 1945 to 1947. 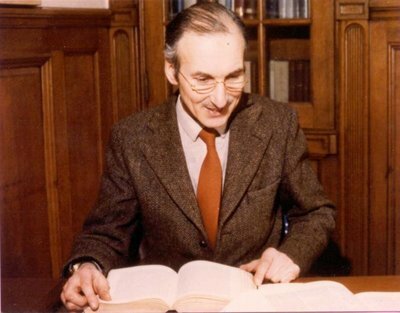 He was Lecturer in English Language at the University of Edinburgh from 1949 to 1959. He was an authority on Old English phonology, Old Norse and Middle English. He was also interested in linguistic change, especially verbal obsolescence and replacement. In order to further such studies, in 1964 he established the Historical Thesaurus as a departmental project. The Historical Thesaurus of English project presents the vocabulary of English from Old English to the present day. Words are arranged according to their meanings and dates of use allowing users to explore connections between words. It is based on the second edition of the Oxford English Dictionary and was completed and published in two volumes in 2009. He died at the age of 90 in November 2010. 2009. Historical Thesaurus of the Oxford English Dictionary. Oxford: OUP. 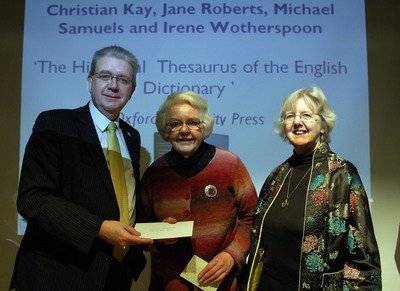 World Changing Project, "Creating the Historical Thesaurus of the Oxford English Dictionary," in University of Glasgow World Changing (University of Glasgow, 2010); http://www.worldchanging.glasgow.ac.uk/article/?id=102 (accessed April 25, 2019). World Changing Project. "Creating the Historical Thesaurus of the Oxford English Dictionary." In University of Glasgow World Changing. University of Glasgow, 2010. http://www.worldchanging.glasgow.ac.uk/article/?id=102 (accessed April 25, 2019). World Changing Project. "Creating the Historical Thesaurus of the Oxford English Dictionary." University of Glasgow World Changing. University of Glasgow, 2010. 25 April 2019 <http://www.worldchanging.glasgow.ac.uk/article/?id=102>.